Metro Turf Industries, LLC is driven by a few key ideas. In our view, functionality is central to any good design of any kind. We aim to create designs that are as functional as they are beautiful, because what good is an aesthetically pleasing landscape if you’re unable to take full advantage of what it has to offer? By taking into account existing factors like erosion we design landscapes that will remain in great shape for years to come. Finally, Metro Turf Industries, LLC strives to design landscapes that will blow you away with their beauty and intricacy. 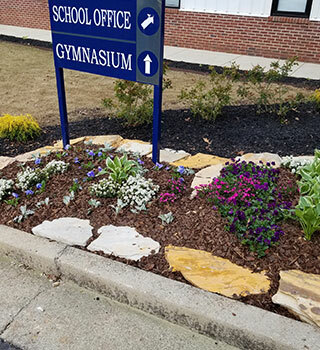 By highlighting existing features of the landscape, Metro Turf Industries, LLC creates a natural-looking area that plays up the strong suits of your property, while also adding elements to enhance it. For Innovative Landscape Design, Contact Metro Turf Industries, LLC Today! 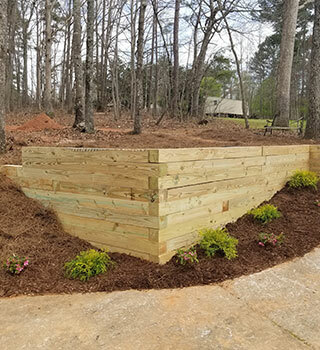 Thanks to our experience working on projects with budgets of all sizes, Metro Turf Industries, LLC has become the go-to organization for people looking to boost the look of their yard. 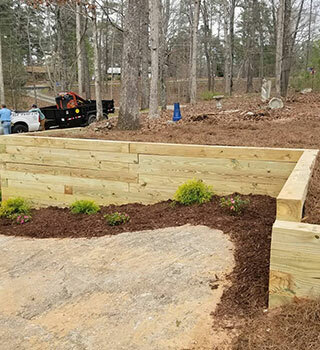 Our commitment to complete customer satisfaction has made us a leader in the landscape design industry, so get in touch with us today to schedule a consultation. We look forward to speaking with you regarding your new project!